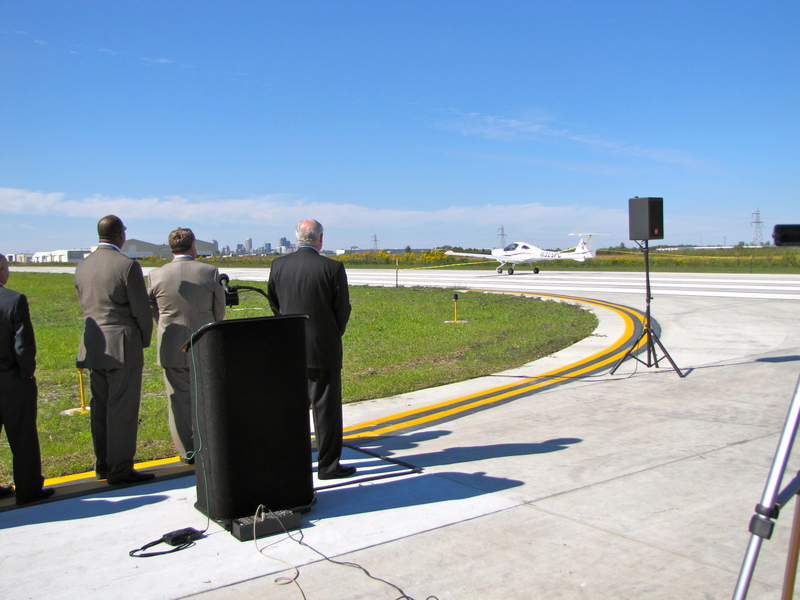 Monday, Sept. 27 Governor Pat Quinn of Illinois joined transportation officials and local politicians at the Saint Louis Downtown Airport to open a $2.7 million runway extension and announce a $4.4 million investment to widen the primary runway, starting in summer 2010. The investment is funded primarily through federal grants, and is designed to accommodate growing demand and larger, mid-sized jets. So…how else could we celebrate other than a “ribbon-cutting” plane? 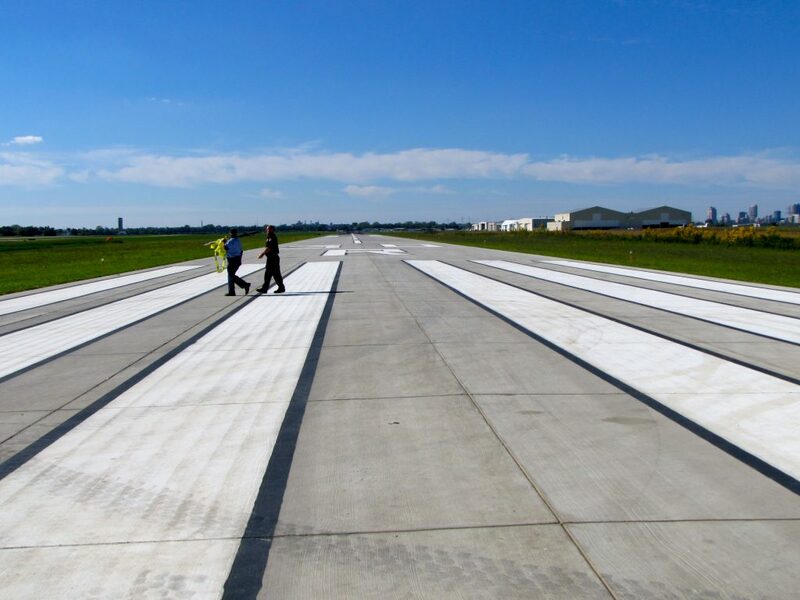 The Saint Louis Downtown Airport is one of Metro’s business enterprises (operates with no local taxpayer support) and is the busiest general aviation facility in the state, with more than 20 aviation businesses and three runways. The Airport is also home to Parks College, the nation’s oldest flight school. The Downtown Airport has also begun construction of a new fire station (to replace a small trailer) including 3 equipment bays, and an emergency operations center and training facility. These investments will allow the Airport to continue to grow and accept more business in addition to its $300 million annual impact and 1,900 full-time airport jobs.